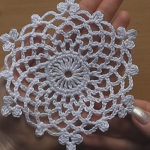 Crocheting snowflakes is the best therapy in this winter. 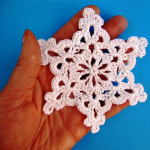 Today we have selected two amazing video tutorials about how to create 12 pointed snowflake. Make your life and others life happier with help of this little snowflakes. You have a great chance to turn your home interior into a winter wonderland. 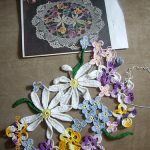 We hope you will find it interesting and start crocheting right now. 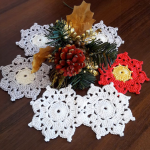 You can use it as a doily for your Christmas table, or as a garland. It will be the best holiday gift. 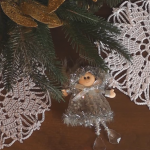 These snowflakes will add an extra charm to your home interior in this holiday season. Happy crocheting!! !